After being chosen as the next Wonder Woman, Gal Gadot became of the favourite for comics fans worldwide, as she managed to create a character that was both tough as nails and very charismatic and delicate, a tough job for any actress. 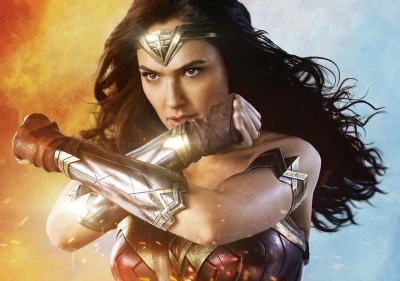 And fans of superheroes are some of the most stubborn and dedicated in the world, so it was quite an achievement to convince most of them that you are the best Wonder Woman. But did you know the following trivia about the actress? 1. Gal Gadot was born in Israel, in Petah Tikva, in 1985. When she was just 18 she won the Miss Israel competition and even went on to the Miss Universe competition, failing to win or even make it among the first contestants. Even if later she would work a lot as a model she wasn't really into it and wanted at first to become a lawyer. She quit university to pursue the TV acting carreer. 2. She spent the mandatory two years in the Israeli army and is a certified combat instructor. So no wonder that for several of her parts she did most (or all) of the stunts, including driving or firing guns. She is also a fan of motorcycles, dogs and cars. 3. When Gal Gadot attended the casting for a future movie directed by Zack Snyder she didn't know that is was for the small part of Wonder Woman in the Batman vs Superman production. Yet she somehow was convincing enough to get the part, and although it was a little more than a cameo it was so convincing that all comics fans couldn't wait for the full fledged movie starring the character. Which was bot a critical and box-office success. 4. Her first acting breakthrough was in the fourth part of the Fast & Furious franchise, and would also star in the next two movies of the series. Somehow the audiences loved her from the very beginning, and it was in no small part one of the reasons to get the coveted Wonder Woman gig. 5. She is nowadays herself a fan of the famous comic books character and wants Wonder Woman to be a rolemodel for girls all over the world.